A short par 4 with a blind landing area. 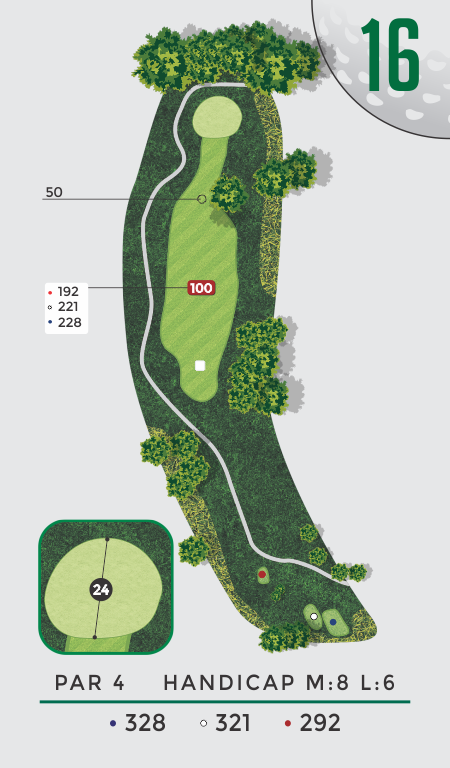 Optimal second shot is achieved by landing the tee shot on the left side of the fairway, but be careful to avoid the out-of-bounds and lateral hazard left. A severely right-to-left sloping green awaits your short approach shot. This hole makes for a great opportunity to walk away with birdie.